Last week I had the great pleasure of recording a podcast with Eurovision Canada alongside my colleague Dr Karen Fricker. We spoke about the politics of Eurovision, how I got into it and what we can expect from Eurovision this year. Tick Tock... Ukraine - the ticking time bomb of Eurovision? Rehearsals for Eurovision began this morning in Copenhagen. Later today both Russia and Ukraine will take to the stage. Never before have relations between the two countries been so tense or so serious. We are likely to see these tensions spill out onto the Eurovision stage. Whether the EBU like it or not, politics does come into Eurovision. Over at ESC Insight I've written an article on the current situation - will there be political references in the performance? The voting? How will the Russian entry be received? Ukraine aside, Russia's image among the Eurovision fan community is less than positive. The adoption of the anti-gay laws in Russia last year has meant that the country has become viewed almost as a pariah state. It's likely that the Russian twins, the Tolmachevy Sisters, will face a rough ride from audience, consisting mainly of gay men. However, those girls will be well prepared and resilient, as my Euro pal Monty pointed out, he wouldn't be surprised if they booed back! I arrive in Copenhagen on Friday, more updates before then though! It's difficult to believe that the Eurovision season is about to begin again. It seems like barely a few weeks since the 2013 contest! To all traveling to Copenhagen over the coming days, I wish you a safe and pleasant journey. I'll be there from Friday May 2nd but will be returning to the UK on Friday 9th May, suitably enough, on Europe Day! 2014 is shaping up to be an exciting year; it looks like it'll be tense for Russia and Ukraine and with no real runaway winner, it'll hopefully be a close race to the finish line. Danish broadcaster DR look like they're planning a spectacular show! The stage looks very impressive indeed, and with several days to go before rehearsals start, they're also looking super organised! It'll be a busy one for me, with the publication of my book The Modern Fairy Tale: Nation Branding, national identity and the Eurovision Song Contest in Estonia as well as my on-going punditry work. I'm sure there will be time for dancing (as well as the odd glass of prosecco!) Eurovision 2014 is almost upon us! Join us! 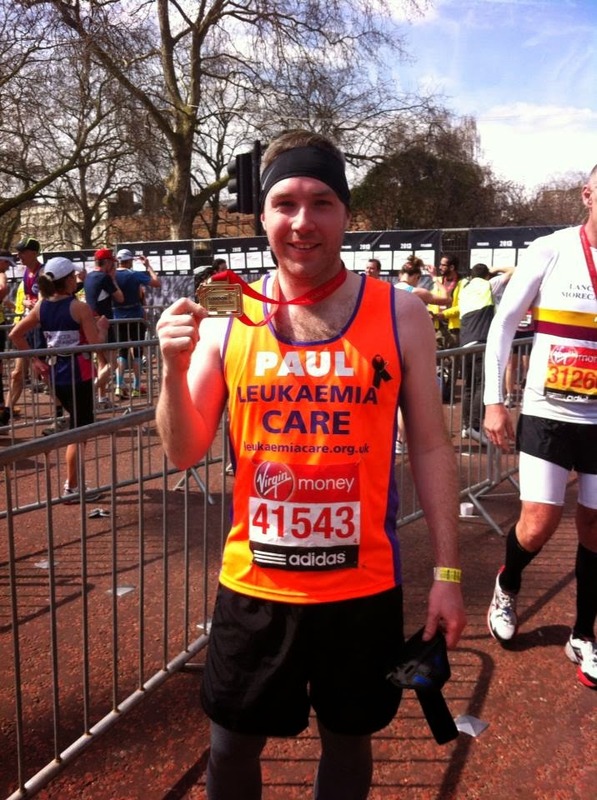 As many of you know, last weekend I ran the London Marathon in support of Leukaemia Care. It was an amazing day - my final time was 03:29:27. It might have been even better if I hadn't gone out and got drunk at EuroFest on the Friday before... Still, I am happy with my time, despite the hot weather. Less than five weeks to go now until the Edinburgh Marathon! 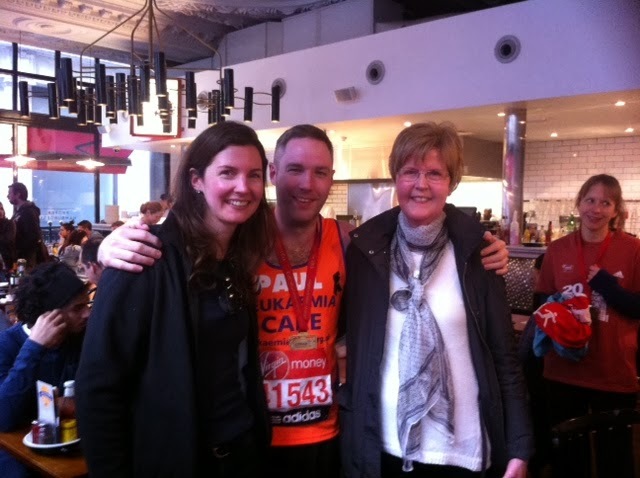 It was a particularly poignant day though, as last year I was cheered on by my aunt who sadly passed away in September. She was a truly remarkable lady and was on my mind throughout the course. 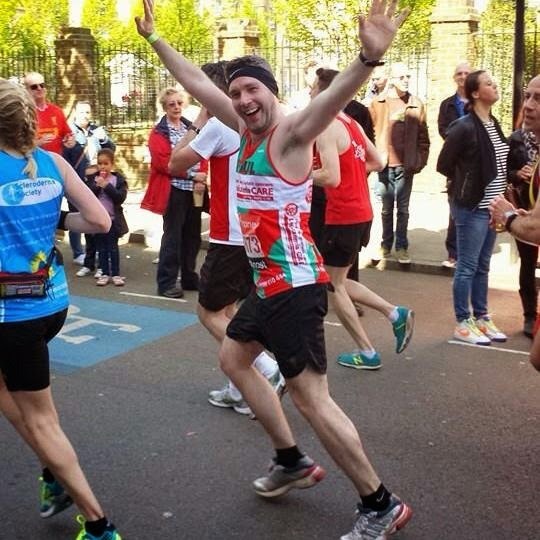 A huge thank you to each and every one of you for your sponsorship, encouragement and kind words. I really really appreciate it. I raised over £1700. Congratulations Sylvia - I'll need to work out how to get these CDs to you now! After the marathon I went to the London Eurovision party which was superb as ever. 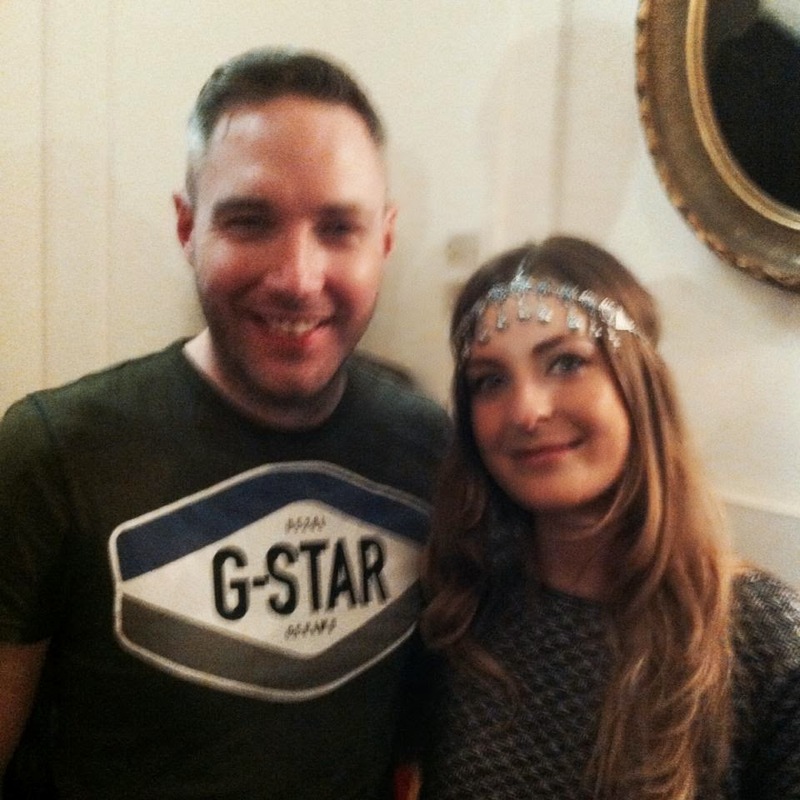 It was great to see Nicki French and Paddy O'Connell strutting their stuff on stage along with so many acts on stage. A particular highlight for me was Ruth Lorenzo's stunning set - she's quite simply the best singer in the contest and I hope Spain are on the left hand side of the scoreboard this year! Molly did the UK proud, as she did in Amsterdam - so looking forward to seeing her again in Copenhagen, lovely girl! A huge congratulations to the organisers of this event, particularly Kabir. It really is such a special event and has a lovely, intimate feel to it. I hope you're all proud of your achievement, it was a night to remember! When in Rome er... Amsterdam! It's finally happened - I've lost my virginity! (It's been a long time since I said that!) A huge congratulations to the team behind Eurovision in Concert which I attended for the first time. The event took place in Amsterdam last weekend. 25 acts, thousands of party goers and so much fun! Amsterdam is a great city anyway but it was the perfect choice to host such a huge sell-out concert - a testament to how well-organised it is and how popular Eurovision continues to be despite the detractors. It was a pleasure to meet some of the acts from 2014 before the concert at a special press event prior to the concert. 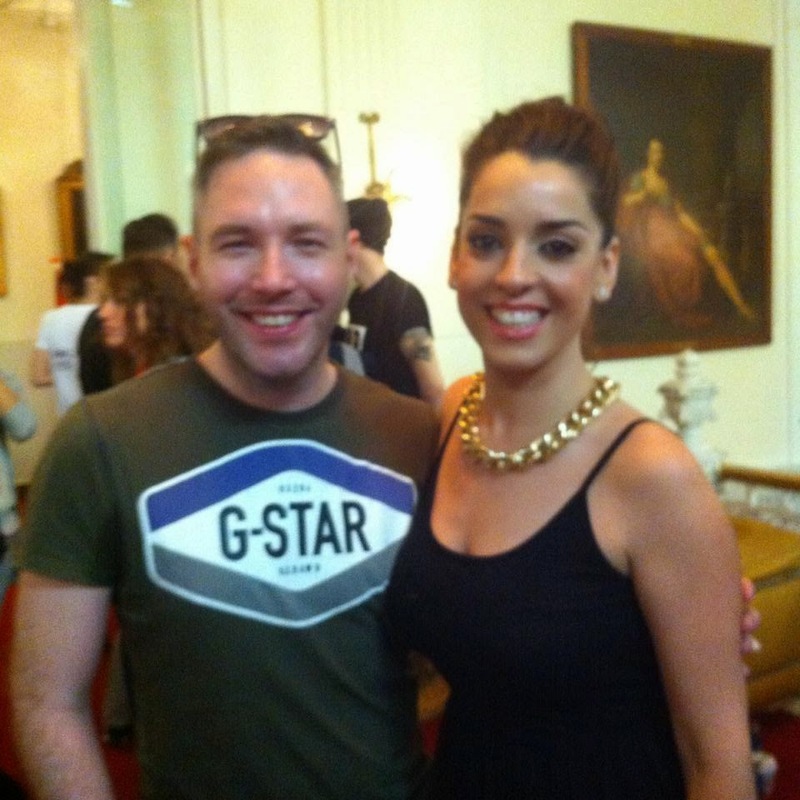 The highlights for me included two special ladies - Molly from the UK and Ruth Lorenzo from Spain (via X Factor!) Not only were both absolutely gorgeous, they were so nice too. It can't be easy putting up with Eurovisionistas for so long (that's why I drink!) and yet these two were consummate professionals. The concert itself was great fun - Denmark's winner Emmelie De Forest opened the show with "Only Teardrops" and some scantily clad boys (which unsurprisingly went down well in the hall!) 25 acts is a huge number but it flew by! One of the more serious moments occurred when Aram from Armenia performed to a chorus of booing. There were reports that he had made derogatory comments about Conchita from Austria and was alleged to be homophobic. It might have been taken out of context, who knows, despite his protests and apologies, the crowd were unforgiving. Apart from that, the atmosphere was brilliant. It was a pleasure to meet Maribelle the night before, who sang my favourite ever Eurovision song, "Ik Hou Van Jou" from 1984. 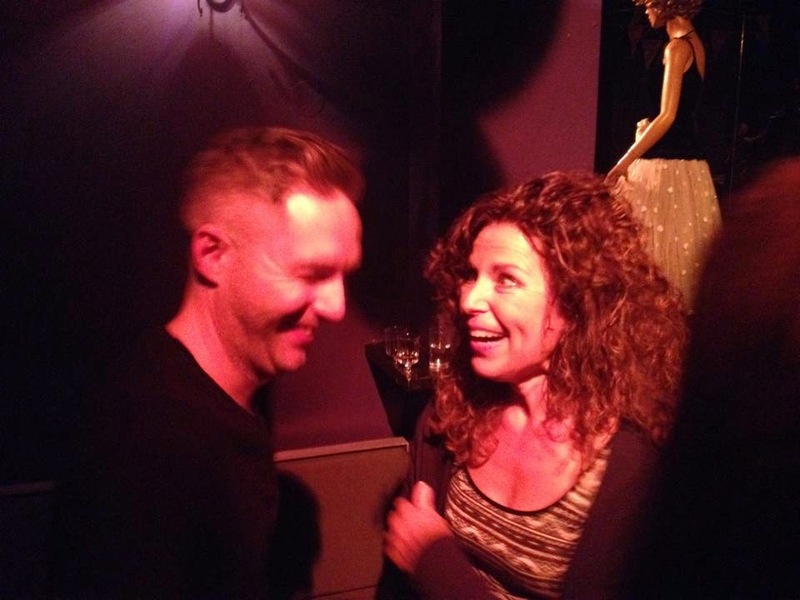 She didn't seem to believe me when I told her how much I loved the song, oh how we laughed! It is not easy to arrange such an event and a huge well done to the organisers! Fabulous time was had by all! All eyes now turn to London and to the London Eurovision Party which has been going strong since 2008! London has a more intimate feel which makes it different to its Dutch sister. This year it's going to be held in a new venue, Cafe De Paris in Leicester Square. It's already sold out and there are over 20 acts performing!! That's not including the lovely Nicki French and her cheeky but adorable counterpart, Paddy O'Connell, who are both always so enthusiastic when it comes to Eurovision and it always shines through. Good luck to one and all! It'll be there although I don't know how much dancing I'll be doing as I'm running the London Marathon earlier in the day. Hoping to beat my time of 3:38:24 from 2013! On a serious note, many of you know that I'm running for Leukaemia Care, a small charity based in Worcester. My cousin previously ran for them and they do great work. It's going to be a very emotional run on Sunday as last year I was cheered on by my aunt who sadly passed away last year. I'm going to give it my all and will certainly raise a glass of prosecco or five to her after the race! 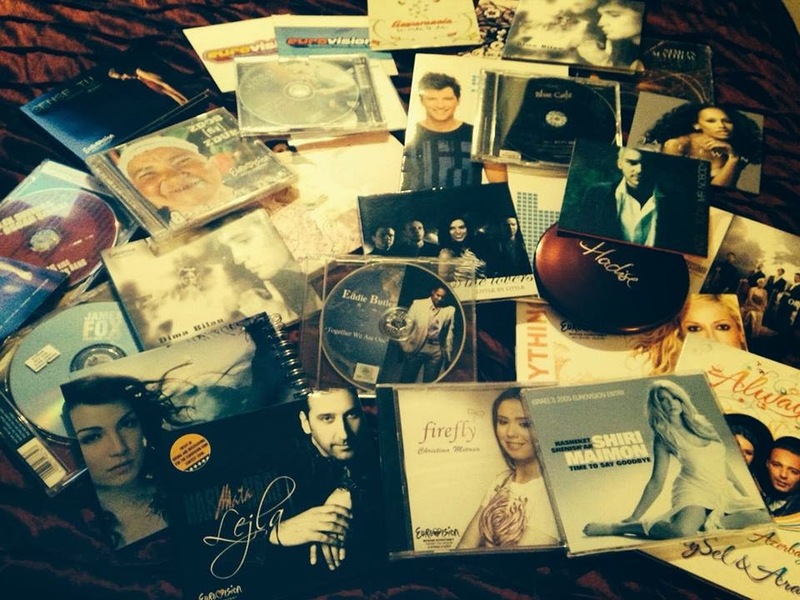 Now here's a special treat for you - my lovely friend Jude Habib has kindly donated all of her old Eurovision CDs for auction. All you have to do is go to my JustGiving page and donate a minimum of £5 and you'll be entered into a raffle and all the CDs can be yours! Please leave a note on the page though so that I know the donation is Eurovision-related! A huge thanks to Jude and to you all for your generosity and support! Thank you Amsterdam and hello London!!!!!!! Estonia is a fascinating country with an interesting, often tragic history. Almost a third of Estonia's population are Russian speakers, the majority of which moved to the country after World War II. This coincided with mass deportations of Estonians by the Soviets, resulting in huge demographic shifts in the country. The restoration of independence in the 1990s saw tense times in Estonia as the government underwent a process of nation and state building, ensuring ethnic Estonian dominance whilst at the same time moving the country closer to the EU, which emphasised a more civic approach to nation building. Essentially Estonian political elites walked a tightrope between the two. It wasn't all plain sailing though as the riots in 2007 showed, tensions continue to bubble away under the surface. This year Eesti will be represented by Tanja and her song "Amazing". Tanja is different from many Russian speakers in Estonia in that she wasn't born in the country and moved to Eesti from Kaliningrad. It's the first time that an ethnic Russian has represented Estonia (not including the backing group 2XL from 2001). Previous Estonian entrants have included two Swedes and Dave Benton, originally from Aruba. Given these tense times when many countries with large Russian speaking populations are cautiously watching events in Ukraine, it's a positive sign that Estonia will be represented by a Russian who calls Estonia home. Initially I wasn't a fan of "Amazing" but it's a striking performance and I wish them well. Elagu Eesti!